He is a 7 year old boy. His parents really wanted him to transfer from the public school and now he drives about 40 minutes with his father in a motorcycle to get to HSD. His mother is a stay at home mom. She does volunteer hours for cleaning at HSD. 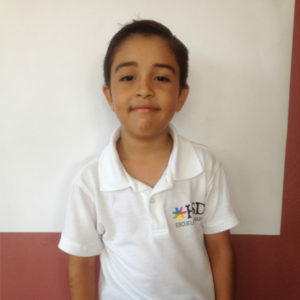 His brother also studies at HSD.